For the past eight years, the iPhone has been the innovator. Whether we’re talking about hardware breakthroughs, software solutions, or just plain good looks, the iPhone has always taken the lead, ushering in the latest technologies and design shifts before any other device: the Retina screen, Siri, Lightning, Touch ID, Apple Pay—even the new MacBook’s shiny gold case owes a debt to the iPhone 5s. For the first time since its debut, the iPhone isn’t the most cutting-edge piece of technology in Apple’s lineup. While Apple Watch borrowed some of the iPhone 6’s style and smarts, it also brings a host of new features and technologies made possible by the uniqueness of the device. So while I wouldn’t expect the next iPhone to sport a Digital Crown or a dedicated Friends button, there are still plenty of tricks it can learn from the new kid on the block. 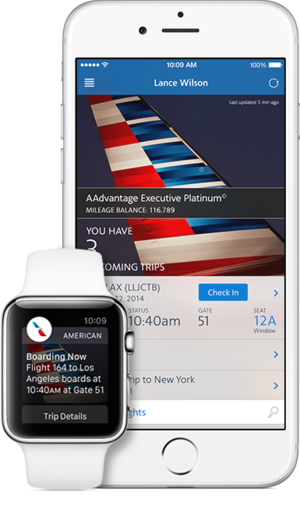 Apple Watch is the rare product that’s built to be used as little as possible. Its design and functionality is meant to get you in and out without dawdling or distraction, and the sum total of one’s interaction—whether it’s sending a message, tracking steps, or just checking the time—is meant to be measured in seconds, not minutes. In the time it takes to unlock my iPhones, in fact, I would likely already be putting down my wrist. It’s a fundamentally different way of thinking, and one I’d like to see make its way to the iPhone. Apple has thus far been reluctant to allow us to do much of anything without unlocking our phones first, and despite Touch ID speeding that up, I’d love a Glances-style system for the iPhone’s lock screen. I thought iOS 8’s Notification Center widgets would suffice as an iOS version of Android’s customizable home screen widgets. But after a relatively brief honeymoon period, I found myself ignoring widgets as much as I did iOS 7’s Today view. The iPhone 6’s larger screen requires a change in grip (or my left hand) just to access the Notification Center, where the jumbled, cluttered interface isn’t conducive to getting things done quickly. But Glances is perfect. It could easily replace the iPhone Control Center—in fact, as John Gruber notes in his review at Daring Fireball, the leftmost Glance already includes many of the same quick settings buttons. And Glances would give developers a true outlet for delivering quick bits of information far beyond the capabilities of the current set of cramped widgets. For all that Apple Watch is able to do, its biggest selling point is still the ability to deliver timely alerts to our wrists. But rather than simply beam every alert and alarm from a particular app, Apple allows users to be a bit more discerning with Apple Watch, more than the iPhone’s mostly all-or-nothing approach. The iPhone notifications system needs a revamp. Aside from an occasional extra setting, every app has the same basic options—apply a badge, set a sound, show on the lock screen—and if you’re not keeping track fanatically, they can pile up into a worthless heap. 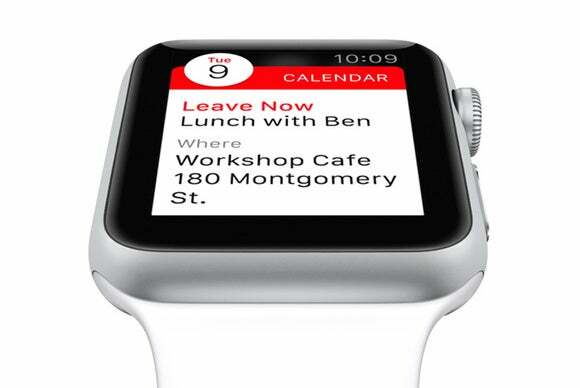 But Apple Watch could spur Apple to rethink its delivery system, allowing for more customized notifications, like choosing which contacts you’d like to hear from. Apple Watch also adds a bit of intelligence to our notifications. When you lift your wrist to see one, a “Short Look” will initially show a brief bit of information, but if you tap that screen or keep your wrist raised, the display shifts to a “Long Look,” which offers a bit more data and some interaction. And when you take you watch off, notifications are cut off completely. Apple added actionable notifications in iOS 8, but an Apple Watch-style system of long and short looks would help give our notifications an extra level of usefulness, and pave the way for a smarter alert system of smarter alerts that learns our habits, saves our batteries, and pushes the right notifications when we need them. The Digital Crown is getting plenty of attention, but even more interesting is how Apple solved the problem of manipulating the screen itself. The iPhone has trained us to think of all screens in terms of multitouch, but the Apple Watch’s screen is just too small for more than one finger at a time. Instead of pinches and gestures, Apple introduced Force Touch, an invisible layer of the interface accessible by a deeper press on the screen. It’s already made it to the MacBook’s new trackpad, and it would be foolish not to think it’s coming to the iPhone, too. Using Force Touch for the first time is one of those eureka moments, simplifying the way our fingers interact with the screen while also adding functionality. It’s not unlike how the right mouse click further simplified the GUI on our computers, but on the iPhone it could be even more than a quicker way to access extra controls and menus, giving developers another gesture to work with besides taps, holds, and swipes. Imagine accessing Evernote’s web clipper or VSCO’s filters with just a press, or calling up Spotlight search or the Notification Center without swipes. Force Touch is something of a necessity on Apple Watch, but on the iPhone (much like the MacBooks), it could open up the interface in powerful new ways. 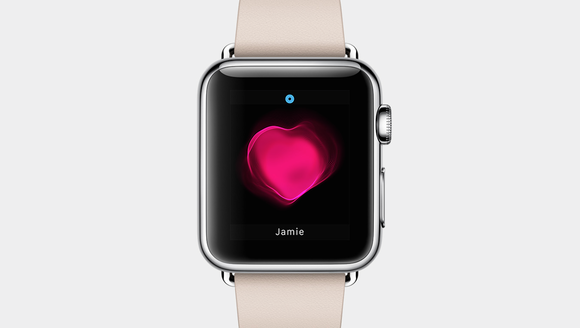 One of Apple Watch’s three main functions is connectivity, and to that end, it utilizes a propriety method of communication that lets users contact each other with taps, sketches, and heartbeats. It’s a neat way to add an extra level of exclusivity to Apple Watch, but if Apple is serious about Digital Touch as a new generation of messaging, it needs to bring it to the iPhone. It seems like a no-brainier—Digital Touch isn’t the kind of killer feature like Siri or FaceTime that’s necessarily going to compel anyone to buy an Apple Watch, but added to the existing iMessage juggernaut it very well could be. Apple Watch would still be the only way to send your heartbeat and SOS-style taps, but expanding the sketching function of Digital Touch to the iPhone would only make Apple Watch that much more useful. Just like the “Sent from my iPhone” email signature acted as a sort of advertisement back in its early days, Apple would surely distinguish between Apple Watch and iPhone doodles, increasing mindshare while still letting people know which of their friends are the coolest. But perhaps more importantly, it would turn Digital Touch into a useable feature for any Apple Watch owner who doesn’t know another person who has one. It didn’t take long for the iPhone to make its impact felt on the Mac, and we’re likely to see a similar sphere of influence with Apple Watch. Which is good, because by the time all of the preorders are filled, the next iPhone will probably already be shipping.